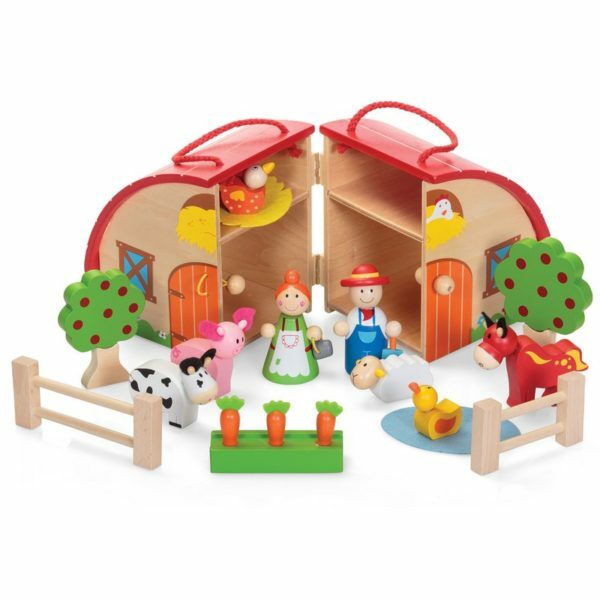 Farm playset with wooden animal figures, scenery and more. The farmhouse carry case can be used to transport all of the pieces, but also opens out to form a piece of the scenery. Inside there are two trees, a carrot patch, a cow, pig, horse, sheep, duck, chicken, two farmers and a pair of fences. Ages 3+. Not suitable for anyone under 3 years due to small parts.